Nothing can contain or limit God. As Love. Forgiveness and Reconciliation. Who is Your Soul Friend? Last Sunday I was finishing up a week of prayer and fellowship with a new relatively new order of nuns and monks within the Episcopal Church. Yes my friends, there are nuns and monks in the Episcopal Church. Our Bishop is a monk; a member of the Society of Saint John the Evangelist. The monastery is located on the banks of the Charles in Cambridge just off Harvard Square. Every Tuesday they have a wonderful celebration of the Holy Eucharist for the Harvard University Community. They’ve been doing this for more than thirty five years now, and the services are always full of inquiring and discerning hearts seeking more from life, seeking something from God. The Sisters of Saint Margaret have a community in Duxbury and my son David loves “The Margarets” as he calls them. In fact Cindy and I like to attend the special services of Evensong they hold near the High and Holy Days of the Church year. Now you know where I came up with the idea of Evensong for the feast day of the Ascension which we will hold this coming Thursday evening. I do hope you will make a special effort to attend. The churches of the Merrimack Collaborative, their clergy and people have been invited to attend and many have already accepted the invitation. It would be wonderful if St. Paul’s were to put our best foot forward as a sign of our heartfelt warmth, affection and hospitality for our brother and sister Christians in our neck of the woods. Heartfelt warmth, affection and hospitality for our Christian brothers and sisters and others in the world; this is our spirituality. The word “Anamchara” is a Celtic word that means “soul friend”. I remember shortly after Bishop Shaw was elected. He spoke of his image of the Episcopacy. He saw it as an evening with a good friend, gathered in the warm glow of the fireplace with a Golden Retriever curled up between them, and on and on they’d talk until the wee small hours of the morning. They would talk of what matters most to us and to God. As the embers died down in the hearth the heart’s embers grew warmer with the knowledge and love of God. And so it was that last week I gathered with the Anamchara Fellowship. It is a growing order. 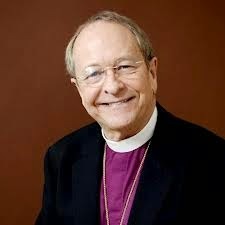 In fact it is growing faster than any other order within the Episcopal Church. As of the end of last week there were 21 professed, 8 novices, 7 aspirants, 2 seekers, and 36 companions. It is a dispersed order and not a cloistered one. A cloistered order is one where one enters a monastery or a convent and takes vows of chastity, poverty and obedience and stays there. A dispersed order is one where you live out your Christian life where you are as married or single, working, retired or otherwise. One takes vows of simplicity, faithfulness and obedience and lives out one’s life wherever you are. There is an annual gathering of the fellowship where you spend a week praying, learning, sharing and celebrating together. There is a daily rhythm of prayer: Morning Prayer at 7:30am, Noonday Prayers , Evening Prayer at 5pm, and at 9 o’clock for Compline. We eat together, and share our learnings together during the mornings. The afternoons are free for conversations, walks, reading, or rest. 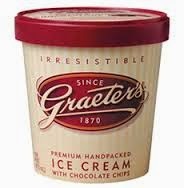 There is always a “field trip” to Graeter's Ice Cream shop for some monastic fun and frolic. After all, Episcopalians love a good time even if they are vowed to a religious order. There is also a Quiet Day. I was there to lead it, believe it or not. And yes I do know how to be quiet, although you may find that hard to believe. Sometimes it is important to return to quiet and silence to give our spirits a rest and listen to the our breath and to the beat of the human heart. The root meaning of the word “spirit” means to breathe. “Inspire” means to breathe in “expire” means to breathe out or to die; that moment when the “spirit” leaves the body. Thus our spirituality involves something as fundamental and central to life as to live and breathe and to have our being. We take time to be with ourselves and with God and discover what it is that arises within us needing attention. A noisy world distracts us from these things and we are much the poorer for it. A distracted world is not a spiritually healthy world. Such a world becomes anxious and depressed and without checks and balances becomes violent to the self and to the other. Without a sense of our spirituality we will certainly loose our moral compass and our spiritual center. Thus Jesus tells us; “If you love me you will keep my commandments”. You will love one another. You will love your neighbor as you do yourself. You will learn to do to others as you would have them do to you. The essential simplicity of the commandments of God especially as they are personified in Jesus in flesh as blood are an invitation and moreover a commandment to live out our lives this way. And so I was invited to the Anamchara Fellowship and the topic was storytelling. As you all must know by now, I love to tell stories. Thus as I prepared for my presentations I settled on three stories; the one that involves the death of my father and my call to priesthood. I’ve told that one here before, in fact I told it to you on Christmas Eve. How I lost my dad at Christmas time when I was eight years old, but then how I received in my heart a sense that there was room in God’s heart for my dad. That sense has been at the heart of my faith ever since that day, and it has been at the heart of the Gospel I share with all who need to hear of God’s victory over all sin and all death. There is room in God’s heart for all. It was because of all this that I became a priest. That was my first story. My second story spoke of my professional struggles with all the controversies that have embroiled the church ever since I even began my days in seminary. It all began with the struggle for civil rights and even one of my classmates, Jonathan Daniels, two years earlier than my matriculation, was murdered in Mississippi working in a voting rights effort. The struggle to make the Book of Common Prayer more accessible to a contemporary audience was and continues to be an issue among us. Gender equality in the church and the ordination of women was and continues to be an issue. The consecration of Barbara Harris was yet another brouhaha. But the granddaddy of them all was the consecration of Gene Robinson. As a parish priest of course there was one conflict after another but the one about Gene Robinson hit close to home. My uncle, the man who brought me up after my father’s death and the fact that two of my kids were gay raised up within me a great deal of inner conflict. As some of you know I wrote a book on the subject to try and work out the particulars in terms of biblical theology, and in the process I experienced a faith crisis and a mental breakdown. I was diagnosed with bi-polar affective disorder. No wonder with all the ups and downs of parish ministry and with the conflicted nature of all of its complex relationships, I lived out the inner conflicts within my own soul. I recovered and still take my meds and my psychiatrist and I keep and eye on things. But I did write my book. And it has led to the salvation of any number of young people who had considered suicide. Image. Just imagine. Being gay for instance in West Virginia. Not accepted at home, not accepted at school, and of course at church you are told you will be going to hell. You can see how the whole business of controversy played tricks with my sanity but this is the church I love. This is the family I love and by God I will love you all until my dying breath. That was my second story. It was a difficult story to tell. But there are many who go through such struggles. And willingness to tell the story gave others the courage to share their stories with me. It was hard work. But this is the work of God for the people of God. After that story I heard several confessions. The third story I told was of the building of a homeless shelter in the City of Saint Albans, West Virginia. It began with the death of three homeless veterans under the bridge across the Kanawha River. Because the soup kitchen was housed at St. Mark’s Church in Saint Albans, we knew the ones who died in the fire. I took up the struggle to find housing for the homeless. After a long battle with the city fathers, neighborhood resistance and a court battle, we were finally able to build a homeless shelter housing 28 men and women who suffered from chronic mental illness and substance abuse. The day we opened the shelter was one of the happiest days of my life. For me it was an affirmation of the power of God in the midst of a rather bleak prospect for the poor. "We're going to kill your husband." "Take a numbah" she said in her flawless Boston accent; "I want to kill him too sometimes"
Needless to say I did not die then. I told these three stories to my new friends of the Anamchara Fellowship. In preparing these stories, I began to realize that each of the stories was a resurrection story. In the first case we began with the death of my father, we ended with a call to priesthood which has now borne fruit for almost 42 years. In the second story we dealt with a lifelong struggle for justice in the midst of controversy. I suffered with an inner struggle for spiritual and emotional sanity and came through it quite well thank you very much. And then of course there was that book I finally wrote. I had never pictured myself becoming an author, but with God’s grace and God’s power all things become possible through the One who gives us the strength to do all things. In the third story we begin with the death of three homeless under a bridge in a fire during a dreadful winter storm. We concluded with the building of a shelter that gives far more than just a roof over the heads of the homeless. There is a whole constellation of supports for health care, job training community support. Our lives are full of resurrection stories. We all die little deaths from time to time. We are all given new life as well as we rise again out of the pain and sorrow we all know from time to time. These are the stories we tell one another over coffee and tea. These are the stories we tell our soul friends and. This is how we nurture our families and our friends. We all profit from the telling and the hearing of such stories. They are born within our prayers as we consider well within our hearts; “what is God doing within my life? What is Jesus doing for me? How am I being obedient to God’s commandment to love one another, to love and care for myself and to treat others as I myself wish to be treated. You too may listen to the Silence and hear God speak in your heart. my stronghold, so that I shall not be greatly shaken. as if you were a leaning fence, a toppling wall? lies are their chief delight. but in their hearts they curse. Psalm 62 page 669 and 670 in the Book of Common Prayer. even those of low estate cannot be trusted. though wealth increase, set not your heart upon it. that power belongs to God. for you repay everyone according to his deeds. for the mouth of those who speak lies shall be stopped. This year’s Most Valuable Player award for the National Basketball Association went to the Oklahoma City Thunder star player Kevin Durant. 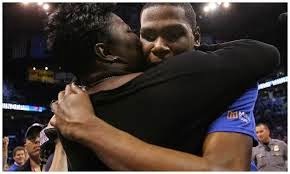 In his acceptance speech on Tuesday night of this week, the six foot nine inch tall forward spoke of his mother as being the real MVP winner behind that award. The big tough guy, stopped to pay tribute to his mom. She was his Good Shepherd. “I think you know what you did,” he said, as the camera cut to his emotionally overcome mom. “You had my brother when you were 18-years-old. Three years later, I came out. The odds were stacked against us. Single parent with two boys by the time you were 21-years-old. Everybody told us we weren’t supposed to be here. We moved from apartment to apartment by ourselves. One of the best memories I had, is when we moved into our first apartment – no bed, no furniture – and we just all sat in the living room and just hugged each other, because we thought we made it. This now brings us to Good Shepherd Sunday, Mother’s Day and the Fourth Sunday of Easter. Here, on this side of the Resurrection, we take note of the sacrifices we make for those we love. They do not end because Jesus rose from the dead, indeed our sacrifices take on new, joyful, generous and abundant dimensions. 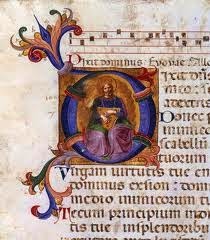 He who came into the world so that we might have life in all of its abundance, has become our Good Shepherd. He is the gateway into a way of life that makes of sacrifice our joy and our gratitude. We know what it takes to have children, and send them on their way; it takes everything we have. But then if you want to give birth to anything worthwhile, you will have to sacrifice a great deal. You may write a book, build a shelter for the homeless, expand a soup kitchen and a food pantry, argue for an inclusive church, or a hundred other things, but you will be giving birth, and making sacrifice to do so. In this sense you are embracing that abundant life that Jesus came to bring us. The joy and the generosity of Jesus involves great words like forgiveness and repentance, love and compassion, the equally sacrificial and demanding word reconciliation. It is not just his attitude toward us that gives flesh and blood to our redemption, it is our attitude and sacrifice toward one another within which his body shape and substance. Those who bring us to the knowledge and love of God may have been our mothers or grandmothers, our dads or grandfathers, our aunts or our uncles, but whoever they were they have become for us a whole constellation of spirits we now come to call the “Communion of Saints”. They led us to God the Creator, Jesus the Savior, and the Holy Spirit the Holy Wisdom and gift giver from on High. 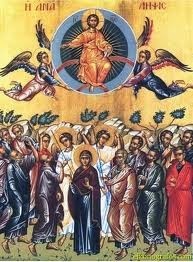 The Holy Trinity then also become an abundant and dynamic community dwelling with and among us. There is nothing static about discipleship. Like that dazzling new model of the universe expanding over time that the students at MIT have developed, we are an ever evolving and emerging force for good in a world in desperate need of Good News. It has all happened before time and again. 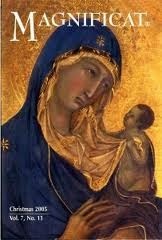 In salvation history it happened to Mary, the Mother of our Lord. May marks her month for our Roman Catholic friends. The angel came to her and informed her that the Holy Spirit would “overshadow” her. 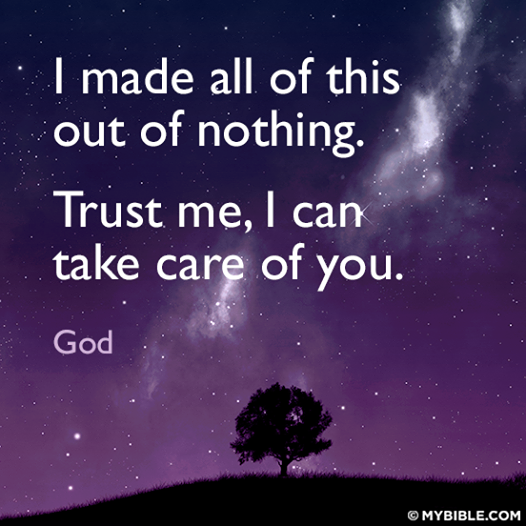 Please remember she too was a single mother and that Joseph considered sending here away quietly so as not to scandalize everybody, but something or somebody told him in his dreams that this was all God doing the kind of thing that God does. I find it interesting that the number one best seller on the New York Times list of non fiction hard cover books right now is “Capital in the Twenty First Century” by Thomas Piketty, the renowned French economist. This business of income and wealth inequality is reaching proportions that pose a danger to democracy and capitalism. I have come to bring good news to the poor. Blessed are the poor, and the meek. Insofar as you have done it to one of the least of these, you have done it to me. A basketball player and his single mom make it from the mean streets of Washington DC, a single mother becomes the mother of God, Jesus becomes the Good Shepherd for the likes of you and me. What differentiates us now is not just the forgiveness, the love and reconciling power of God, it is the message that God has sown into our hearts and our willingness, yes our courage to communicate that message. 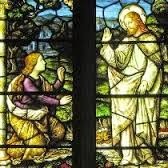 And if we are to mark Good Shepherd Sunday & Mother’s Day, never forget the message the Holy Spirit put into Mary’s heart the day she heard the Spirit’s message. He has filled the hungry with good things.